Front fork: The 43mm open cartridge upside-down fork from WP Suspension provides you with a suspension set-up that’s unseen in this segment. The fork uses split function technology, which means that compression and rebound damping take place in separate fork legs, allowing for better tuning of the fork behaviour. The fork springs are progressive, ensuring a smooth operation throughout the fork stroke; soft for the initial stroke and harder further down the stroke to prevent bottoming out. Ride modes: Ride modes regulate the performance output and the ‘character’ of the motorcycle according to riders’ preference. The riders’ throttle commands are electronically translated into throttle valve positions perfectly suited to the riding conditions. The various ride modes control several things at the same time, while the Track mode allows the rider to adjust individual settings for a number of features. The four ride modes are: Sport: has the most direct throttle control, allows respectable drifts and a perceptible amount of slippage; Street: keeps things smooth for comfortable, controllable riding; Rain: is all about early intervention and maximum grip in the wet; Track: customize your ride, dial down the traction control, smooth out the throttle, switch off the anti-wheelie. Track mode: Track mode offers unlimited thrills. 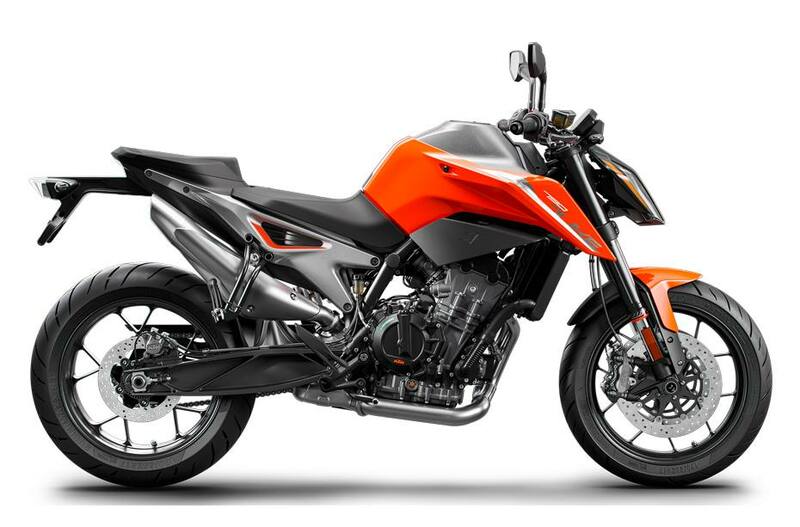 It features launch control, slip adjuster, throttle response control, free engine map selection and allows you to pull epic wheelies. Anti-wheelie: Anti-wheelie is a sub function of the traction control aimed at always keeping the front wheel on the ground. But on a track it can be desirable to allow the front wheel some lift to ensure maximum forward momentum. In track mode, the anti-wheelie function can be switched off. Launch control: Launch control keeps the engine rpm pitch perfect for a rocket start. To thunder off into the distance, the rider just releases the clutch and keeps the throttle pinned. The launch control will maintain an optimum level of engine output, while limiting rear wheel spin and front wheel lift to ensure maximum acceleration. Fire in the hole! Traction Control spin adjuster: Standard traction control limits the engine torque when the system detects excess slip at the rear wheel. TC spin adjuster was developed so advanced riders on racetracks can use wheel spin to accelerate when (slick) tires start to wear down. The system allows the rider to choose the level of intervention of the traction control. The maximum intervention allowed is selected by the rider. Throttle response: The throttle response allows the rider to dial in how quickly the bike responds to his or her right hand. The system has a choice of 4 levels: Track, Sport, Street and Rain, with Track being the most aggressive one. 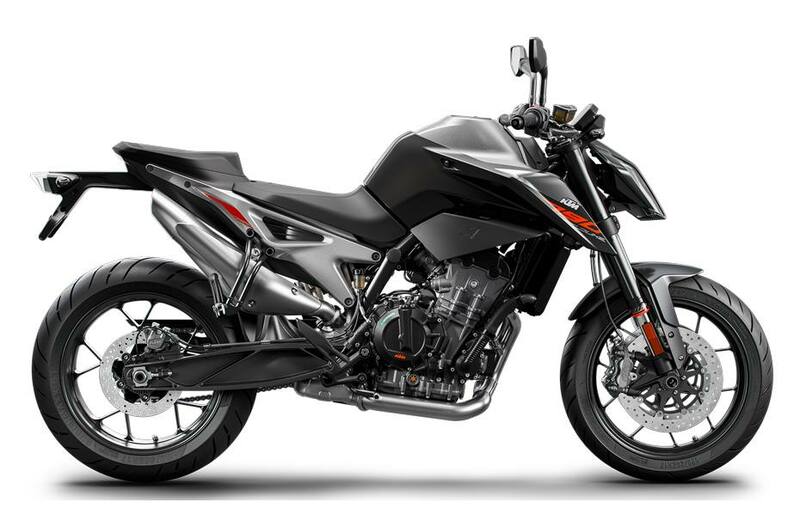 After the mapping selection, the rider can also adjust the slippage of the rear wheel, as well as the anti-wheelie off and launch control function and keep it stored in the system even when turning off the ignition. 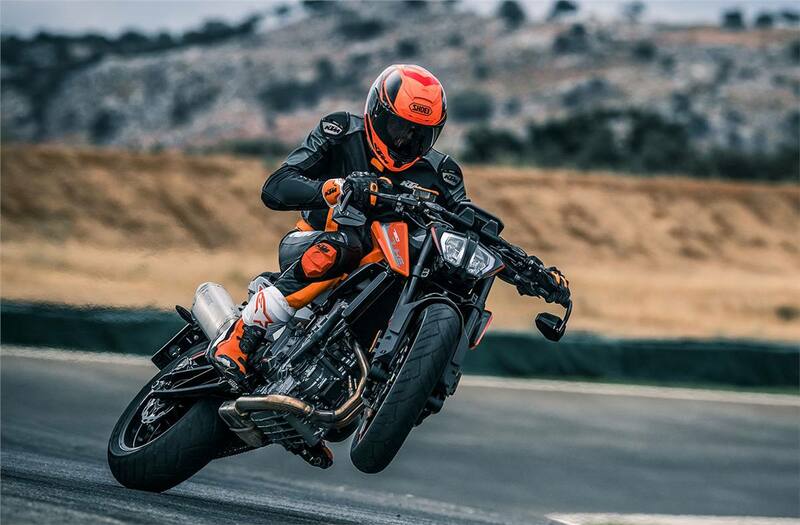 Quickshifter +: The KTM 790 DUKE comes equipped with a Quickshifter + that allows slick, clutchless upand downshifts under any load. It reads and responds to your riding, so the shift action is fast when you are, but buttery smooth at half-throttle. When downshifting, the system matches the engine speed to the speed of the lower gear. And if you’re in the mood for a bit of old school, you can just switch it off. Main benefits: Shorter shift times. 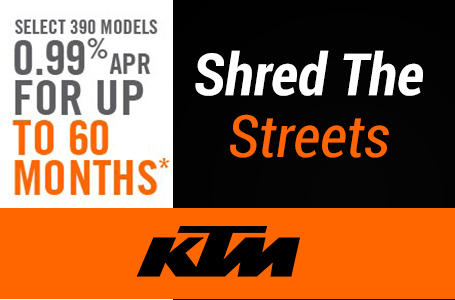 A more precise and smoother ride, since clutch actuation and backing-off the throttle are no longer required. The load reversal impact on the rear wheel is noticeably reduced. Rear wheel traction is improved. The rider can keep full grip on the handlebars. Suspension travel (front): 5.51 in.